Wally loves nothing better than to wander off… and with so many exciting scenes to explore, who can blame him? Every one of these classic spotting books is stuffed with amazingly detailed colour scenes, from the very first page to the back cover. Whether it’s a voyage on a Viking longboat, a journey to a fantasy land or a trip to the Cake Factory, there’s so much exciting stuff to spot that you’ll find your mind wandering too! 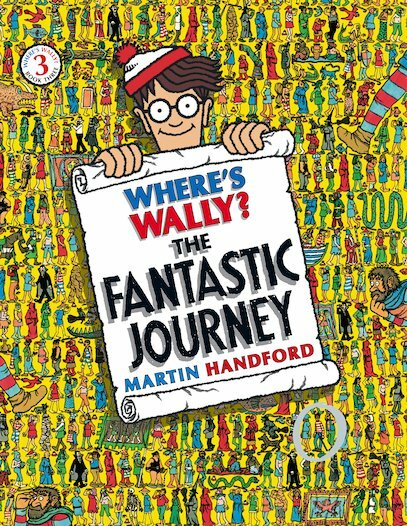 But Wally, Woof, Wenda and Odlaw are all in here somewhere… if you can find them! i liked them but the best was the incredible paper chase. i liked the hollywood book .